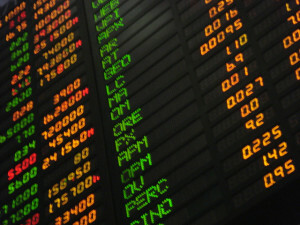 A while back I did a post on the likelihood of an investor losing money in the stock market. Going back to 1871 the data showed pretty conclusively that if you dollar cost average and give yourself enough time, the chances of losing money approach zero. As a follow up, I did the same analysis but instead of looking all the way back since 1871, I only went back to 1930. 1871 was a long time ago and reasonable people can debate how relevant investing in the stock market back then is to today. Fair question. In 1871 trains and horses were the main modes of transportation; cars and airplanes hadn’t even been dreamed up yet. Oil had been discovered just 12 years before, slavery had been abolished only 8 years before, and there were a total of 37 states in the US. So I agree it’s probably too different to be comparable. I ran the same analysis, looking at the percentage of time that a person investing equal monthly amounts in the stock market would come out profitable, but this time I started in January 1930. Despite the different time period, the data looks largely the same. The data from 1871 showed that looking at a one-year time period, investments were down 28% of the time; looking at the data from 1930 it’s 26%. In fact the data seems to be in lock-step, and you can see from the graph, that the bars are virtually identical. But there is a curious feature. In every instance the data from 1930 is better than the data from 1871—the chances of you losing money were reduced in the later time period. Why is that? It isn’t inflation: inflation was worse in the earlier period than the later period (plus you know I think inflation data is suspect anyway). It couldn’t be geopolitical: both periods had world wars, but the earlier period was more peaceful in the US at least than the later period. Technology made huge strides in both periods: cars, airplanes, oil in the first period; computers, satellites, internet in the second. But the data sets are big enough that those differences are definitely statistically significant. My theory is the difference is caused by investing becoming a much safer place after 1930 than it was before. After the stock market crash of 1929 which led to the Great Depression, legislatures passed a host of reforms to better regulate the securities industries, including the establishment of the SEC in 1934. Reasonable people can take jabs at these reforms, especially when felons like Bernie Madoff, Ivan Boseky, and Jeffery Skilling, cheat investors out of millions and billions of dollars. But difference between the pre-1930 and post-1930 investing environments is night and day. Nowadays we can be fairly confident that the companies whose stocks we own are real and that their accounting is legitimate. Certainly the system breaks down, but before all the regulations were passed it was the Wild West. Stock scams were rampant instead of being the exception, and it seems to me that successful investing had less to do with investing in good companies and more to do with avoiding thieves. We’re investing in much, much better times. The other big difference I see is the Federal Reserve. Although it was originally established in 1913, it was emboldened in the 1930s in response to the Great Depression and started to take the form that exists today. To put things in perspective, in 1907 there was a financial crisis somewhat similar in severity to the 2008 crisis (from peak to trough, stocks were down about 50% in both the 1907 and 2008 crises). Both were crazy times that caused people to legitimately worry about the future of the US economic system. The difference was that in 2008 it was the Federal Reserve and the Treasury Department (led by Ben Bernake and Hank Paulson, respectively) that guided the country through the mess, while in 1907 it was a private citizen name JP Morgan. Go ahead and let that sink in for a second. 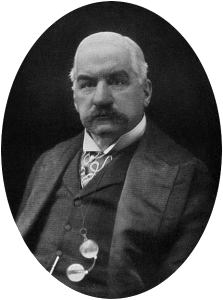 In 1907, during the worst financial crisis in a generation, it was a banker who rallied the troops to ensure that healthy banks didn’t get killed in bank runs, maintained the credit worthiness of the US and New York City, fended off the palpable crisis of confidence, and ultimately pulled the economy through. That’s amazing that a single man with no government affiliation had such power, but it’s also unsettling. Morgan didn’t owe the average US citizen anything; he was serving his own interests (although he certainly positioned his actions as patriotic) and the country was fortunate that its interests lined up with his. The Federal Reserve has a defined mandate to serve the interests of the American people; some may argue how well it does that, but you’re always going to have that. Also, in the last 100 years, we as a society have become much more knowledgeable and sophisticated about the tools which can be used to guide an economy. Back in 1907 I don’t think they had a clue what the concept of “Quantitative Easing” was, but in 2008 it saved the economy. It’s impossible to know, but I personally believe that had the crisis of 2008 happened a century earlier, it would have led to another Great Depression. Who knows on all this stuff, but you have my theories. I absolutely believe that as an investor we are better positioned to succeed than ever before, and that is just one of the many reasons why I have a ton of confidence in the stock market. This is confirmed when I look at the data. As a follow-up, a reader suggested that I look at the data and take inflation into account. Although it pains me to give that much credence to inflation, I will take up the challenge. Stop by tomorrow to see how the data looks when you adjust for inflation. If that’s not a cliffhanger on par with “Who shot JR?” I don’t know what is. What are your thoughts? Did I get it right, or have I been drinking the Fed Kool-aid?